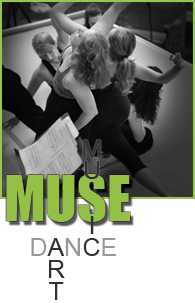 Our integrated dance program offers diverse dance disciplines from classical ballet to jazz. All classes provide a foundation in movement and self awareness, enabling each individual to explore their creativity and potential. This course will introduce students to both the technique and artistry of classical ballet. Class will begin with a warm-up at the barre, and progress to center combinations including adagio, turns and allegros. Students will improve strength, balance, posture, and agility through this demanding yet fun art form. Students will also be introduced to dance history and current events in the ballet world. This course will introduce students to classical ballet. Age appropriate exercises are designd to engage young dancers while teaching the fundamentals of the technique. Ballet for young children who have already taken a ballet course, and upon teacher evaluation, are ready to move forward and build their level of skills. This course will teach students the techniqui and artistry of classical ballet. Students will improve strength, balance, posture, and agility through this timeless art form. This course will students the technique and artistry of classical ballet. Class will begin with a warm-up at the barre, and progress to center combinations including adagio, turns and allegros. Students will improve strength, balance, posture, and agility through this demanding yet fun art form. Students will also be introduced to dance history and current events in the ballet world.